This groundbreaking core textbook offers a comprehensive overview of different approaches to the assessment and treatment of psychological disorders. The book retains important diagnostic perspectives, including the DSM-5, ICD-10, ICD-11 and PDM, but also widens the scope of coverage beyond mainstream psychiatric models to include psychological, biological, historical, sociocultural and therapeutic approaches. Contemporary and well-balanced, this book provides an even-handed and holistic foundation, allowing students to develop a strong critical mindset while retaining a robust research-driven orientation. 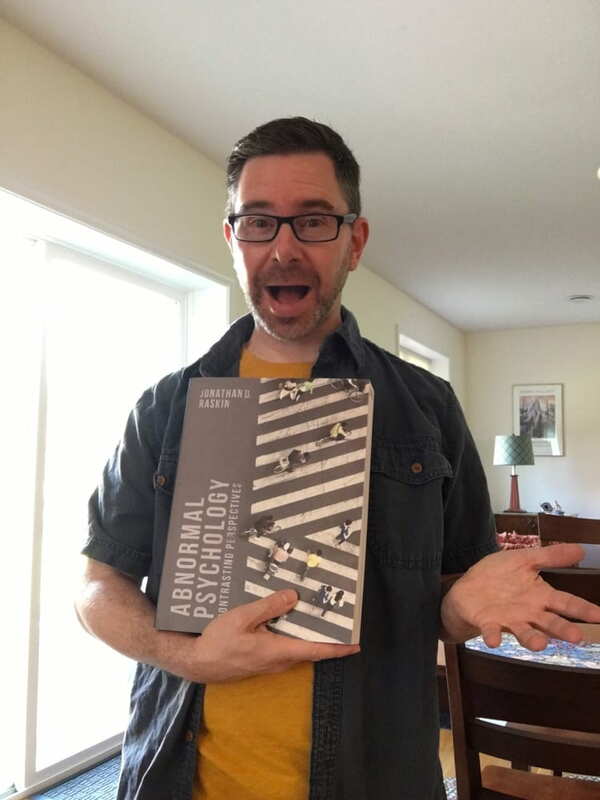 In this video I explain how my textbook, Abnormal Psychology: Contrasting Perspectives includes DSM, ICD, PDM, HiTOP, and PTM perspectives on diagnosis. 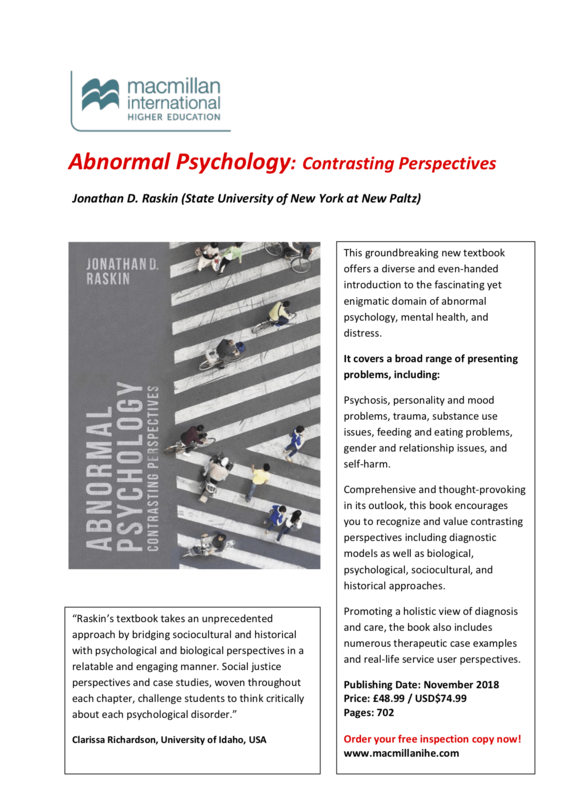 Check out this video outlining what a perspectives approach is and how it is central to my forthcoming textbook, Abnormal Psychology: Contrasting Perspectives.